Large parking lot in front of restaurant as well as additional street parking if necessary. Bus stops right out front, and LRT stop is less than 1 km away. Excellent accessibility to catch a quick meal before the game. We offer a great deal of our menu in larger family size portions which are great if you are catering a party or just have a big group to feed. Please call us directly at (780)435-3888 to discuss your parties requirements. Welcome to the Edmonton based Southern Italian Cuisine of the Sicilian Pasta Kitchen South. Come in and enjoy a delightful dinner or let us help you celebrate your special occasion. The venue features a 150 seat dining-room over two levels with an area that can accommodate large semi-private parties. The dining-room features a large glass enclosed kitchen so our guests can see what our kitchen is up to from almost every seat in the room. 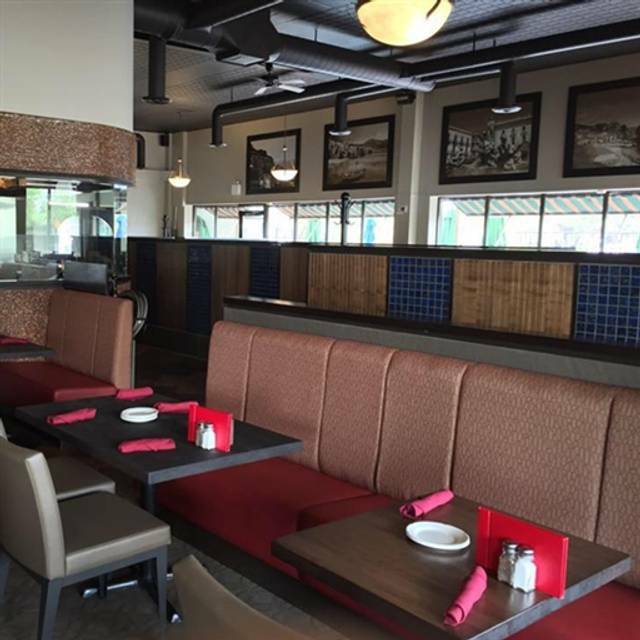 We also have a 60 seat patio with gas heaters and also features beautiful murals of the Italian countryside. In addition to the restaurant we also have a 100 seat lounge adjacent, Vinny’s Bar. The food was not as good as when I was there several years ago. My husband had a dish with prawns and they looked undercooked. Our server Rebecca was pleasant and very accommodating to our needs. Have been to the restaurant many times in the past and look forward to more returns in the future. The food was the only good part of the experience. I used to go there all the time but it's been about 5 years. We got sat within arms reach of another table and felt like we were intruding on their personal space. We were pretty much sitting at their table. Asked to be moved and could tell the hostess was not pleased. Moved to another spot where I was back to back to another person. everytime she moved the whole cushion shifted. It was very uncomfortable. The food came fast and was good. Took 20 minutes for our waitress to bring our bill. Even though I had put it was my birthday on the reservation not one word was said about it. Though the table across from me had cake with a candle brought to them. Will definitely go somewhere else for my birthday next year. As always the food and service were impeccable. We were able to take home leftovers for lunch the next day. That is always a bonus. I have been here a few times and never had bad food always excellent and good value. We have been here several times recently and must say, although the servers have been very pleasant people, the service is very poor. To note, it is not the same server either time. We wait 10 minutes to get our drink, this last time our server mentioned after we waited for our plates to be picked up too long, she would grab the bill and payment machine. It was lunch time and only a few tables were in the restaurant so business was not a factor. The machine never came (15+ minutes) so we went up front to pay. Service is a large part of making a restaurant successful and although the food is excellent, we have had poor service the last 2-3 visits. If I was the owner, I would hire someone to remedy this and coach your servers on how to serve tables in a timely manner. The server was rude, his attempts at humor were inappropriate and mistakes were made on what was asked for. The poor service detracted from a very good food experience. Our favourite restaurant to go to for a celebration dinner. As usual, they didn’t disappoint. This is the second time in as many weeks we had dinner. The first was great the second disappointing. Our meal was cold the waitress was not attentive or we would have sent it back. Service was slow and the torte we had to go was so small for $8.00. We have been to the restaurant many times. The food portions are always large and very tasty. This time the service was sub par. We got our drinks and salad very quickly but we waited well over an hour for our entrees. We had to wave down our server Jeff to enquire if there was problem. He did acknowledge that it was a long time to wait and he would go and check. About 5 minutes later we got our food. Everything was great. Didn't enjoy my meal as much as I have in the past visits, but only because my choice wasn't something that suited my tastebuds. But everything else was fantastic!! Always a great dinner at Sicilian. Food was delicious, service great and featured win very tasty. This has been our "birthday" dinner place for a few years. Have to admit we go even if it isn't someone's birthday. My favorite is the Sunday family style pasta bowl. Our two waiters were phenomenal. They did everything right. Very impressed with both of them. Excellent glad to hear everything was great. 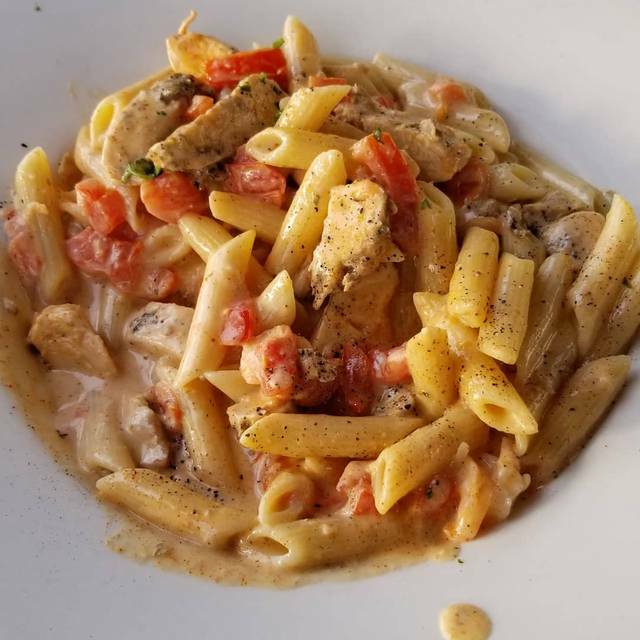 I recommended Sicilian Pasta Kitchen to a couple of new acquaintances, and I'm happy to say that it did not disappoint, as always. 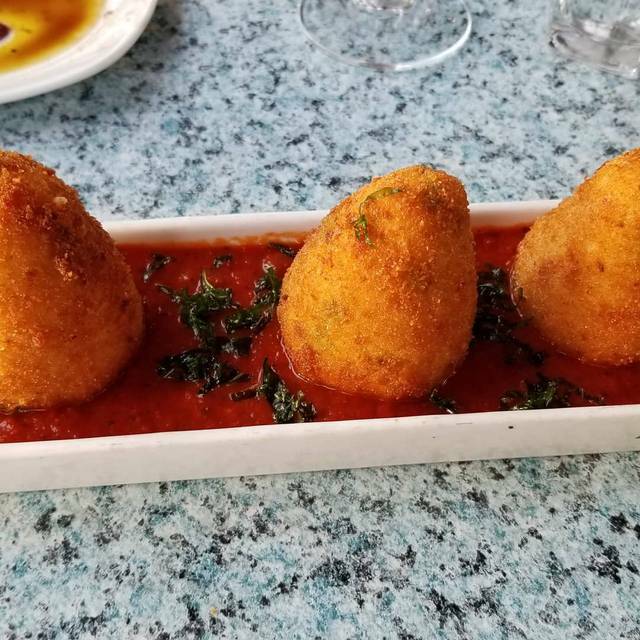 The food wasn't quite as hot as I've experienced in past visits, and the service was not quite as attentive and exceptional as the last time I was there a few weeks ago, but overall the food was excellent, and the service was good. My new friends were happy, and we had a very enjoyable evening. Food was amazing. The reason for only 3 stars was that the server (Oliver, I think) completely forgot about our appetizer, which is an honest mistake, however he only apologized once when we mentioned he forgot it. It was quite odd because he wrote everything down. The sole apology we got was a ”sorry” then he left. Being a server myself I understand that this stuff happens, but a sincere apology would have been all I needed. I also am aware that typically servers are able to discount the dinner at least a small percentage or pay for one or two of the drinks if you clearly mess up; however we really had nothing to compensate besides the empty room in our stomachs. Also, for context he only had 2-3 tables at the time and was clearly not very busy. I would go again, I’m probably just bitter because I know how this industry works and the service I got put a bad taste in my mouth the night of an anniversary. Have been going to SPK South for years. 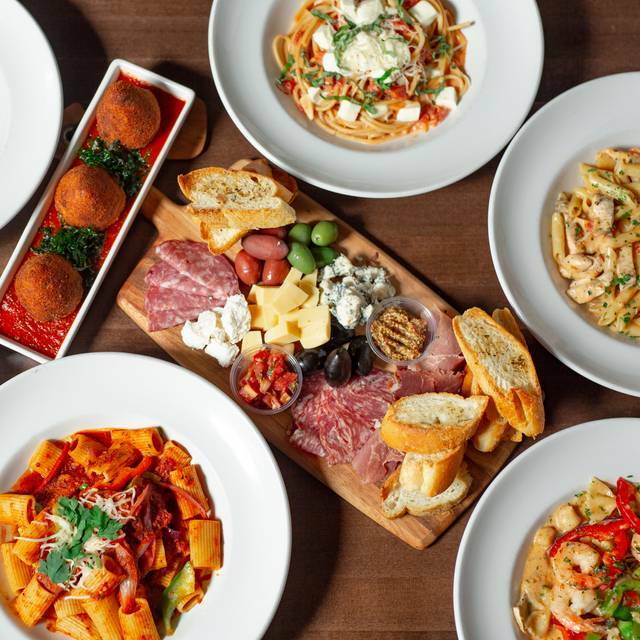 You can’t go wrong with most dishes, especially any pasta offering or pizza. I believe the main entrees are a bit overpriced for what you get. The servers are always great. This was one of the best experiences we’ve ever had at a restaurant, and we eat out a lot! The food was amazing and the service was fantastic from beginning to end. We can’t wait to go back! Excellent!! glad to here we are on the right path and you enjoyed your dining experience with us. Food was good. Experience was overall good. Just a bit annoying that they didn’t acknowledge I had a reservation through OpenTable. That being said, it was quickly cleared up when I mentioned this so that was great. As always the food was delicious, again. Brenda was great. She was patient with our indecision, very personable, and helped with the food allergies. Great service and food. It would have been nice to hear some Italian music in the background. Also, more places to hang coats would help. Service from the kitchen was extremely slow. The veal was over cooked and tough, fish was over cooked and dry. The mussels were mushy & the server that brought out my meal called it the wrong thing and resulted in someone started on my meal before the error was discovered. As it took over 90mins to get our main courses I just ate what I got. The server didn't check the bill for deleted items until I caught the error. Will not be returning. The day following Valentines Day. Nicer. Quieter. Just as celebratory. Thank you! Went for a Valentine's day dinner with my wife. Service was good, food was tasty. We had a good night. We would definitely go back again. Hair in my sandwich... waitress was so slow. Brought a new one back after the rest of my party was done eating. Very disappointed. No discount at all either. Not being terribly familiar with Italian wine, we asked our server for a recommendation, and it turned out to be spot on. Our second time here, and the food was just as good as we remembered. I always like to order seafood and pasta, and asked our server for a recommendation, as I was torn between two dishes. She suggested an entirely different dish than either I had chosen, and it also turned out to be perfect. Food was delicious, the service was impeccable and it was a great value. A great place for date night, dinner with the parents or a girls night out. Thanks again! We will be coming back. Would strongly recommend reservations. We had and were very glad we did. As always the food and service was superb. Food and service is always outstanding. It's a little dark in there though and the prices are rather high. Good value, great service, as usual if you don’t pick an extra busy time. SPK was great! They were able to accommodate our party of 8 wonderfully. They were even able to take us in earlier than our scheduled reservation. Service was attentive but not intrusive. Food was awesome. Great food. Reasonably priced. Our order took a little longer but we were visiting and it didn't really bother us. The owner noticed it took longer and he offered to buy us all dessert. Very impressed. Sicilian Pasta Kitchen is one of my favourite restaurants. We have been eating there for years and have never had a bad experience. The food is great, the service is consistently good, the prices are reasonable, and the atmosphere is very family friendly and warm. I highly recommend this restaurant. 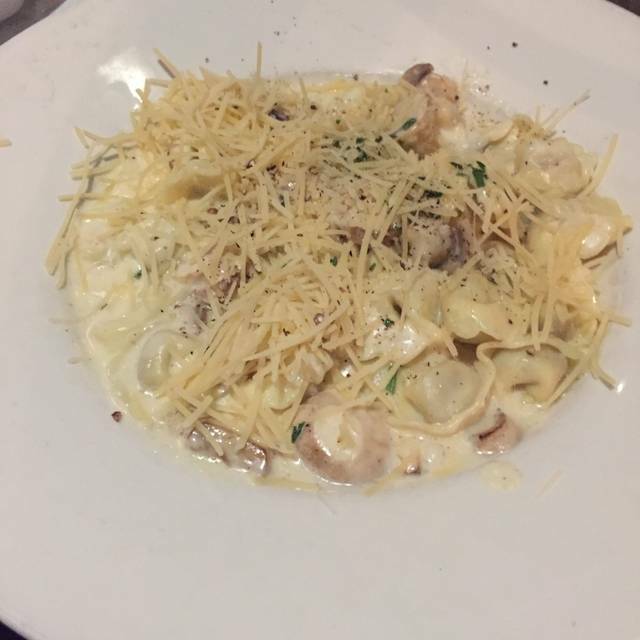 Sicilian Pasta Kitchen is my "go to" place to meet friends when we want to have a visit. They have a great lunch menu, with lots of choices, and the noise level is low enough that you can relax and have a conversation over lunch.